Vectoring has just been switched on on my street cabinet and, in this blog, I discuss the substantial speed increase that has been achieved. 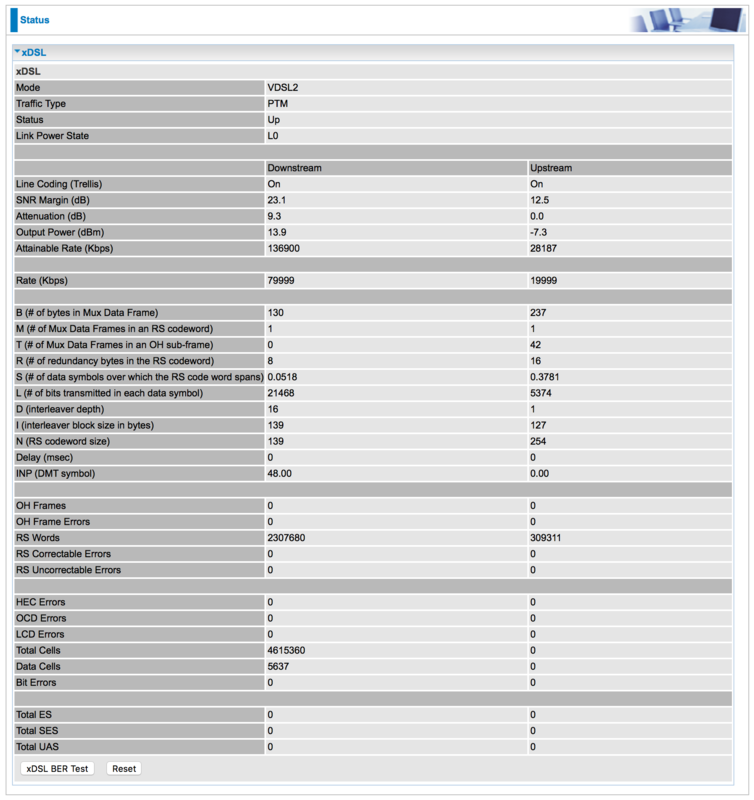 I also show you how you can determine whether vectoring has been enabled on your own fibre broadband connection. Back in July 2014, I wrote an article entitled Early Deployment of Vectoring is Essential to Avoid a Crosstalk Crisis with FTTC Fibre Broadband. In my village, as the penetration of fibre broadband increased, speeds for many decreased due to crosstalk interference. Speed declines due to crosstalk interference have been reported across the country on Internet forums. In order to achieve higher broadband speeds than possible with conventional broadband, fibre broadband uses a wider frequency bandwidth (17.7 MHz). Because of the higher frequencies used, fibre broadband signals are susceptible to a particular type of interference – known as ‘crosstalk’ – from other fibre broadband signals being carried along adjacent pairs. As the number of fibre connections on a cabinet increases, so does the risk of crosstalk interference. As the penetration of fibre broadband services has continued to increase across the UK, so the adverse impacts of crosstalk interference have become more widespread. The impact of crosstalk can be clearly demonstrated with my own fibre broadband connection, as shown in Table 1, below. When my connection first went live (the very first connection on the street cabinet), the maximum attainable downlink connection speed was 145 Mbps, with a very high 26 dB downlink SNR margin. By the third day, downstream SNR margin had dropped from 26 dB to 8 dB, and the maximum attainable downstream speed had dropped from 145 Mbps to 87 Mbps. Over subsequent days, attainable speeds and SNR margin dropped even further. In less than a month, the attainable rate had dropped by more than 69 Mbps - due solely to crosstalk interference. Within a month, I was no longer connecting at the maximum speed despite being located within 200 metres of the street cabinet. With G.INP the maximum attainable connection speed of my connection increased to 85 Mbps, so that I was able to achieve the maximum downlink connection speed of 80 Mbps. G.INP helps to slightly improve a connection riddled with crosstalk interference - a sort of 'sticking plaster' - but it is not the optimum solution. There is a highly effective solution to crosstalk, and this is called ‘vectoring’. Vectoring involves advanced digital signal processing technology aimed at cancelling crosstalk interference to significantly improve performance and provide much more consistent speeds. This is achieved through the continuous monitoring of crosstalk coupling within a cable, and the real-time generation of ‘anti-noise’ that cancels out this crosstalk between all copper pairs. BT has been relatively quiet about its implementation of vectoring across its network. In June 2015, Openreach confirmed that vectoring was being introduced beyond its initial trial areas, on a limited basis, focusing specifically on “areas where it delivers most benefit to customers”. There has been some speculation that BT has shelved plans to deploy vectoring on a widespread basis in favour of G.Fast. Vectoring provides the best speed improvements on copper lines between 50 metres and 500 metres from the street cabinet, which is where G.Fast promises substantial improvements (given that BT intends to deploy G.Fast from street cabinets). I was pleasantly surprised to find, over the weekend, that vectoring had been switched on on my local cabinet, and the results are plain to see in the modem statistics shown below. The maximum attainable downlink speed (nearly 137 Mbps) is very close to that achieved when there were no other broadband connections. Similarly, the SNR margin of 23 dB is very close to that achieved (26 dB) when there were no other broadband connections on the street cabinet. These are very impressive results given that most people in my village now subscribe to fibre broadband. It remains unclear as to the extent to which BT intends to roll out vectoring for fibre broadband. However, my results shows that vectoring can make a dramatic difference to speeds and reliability. 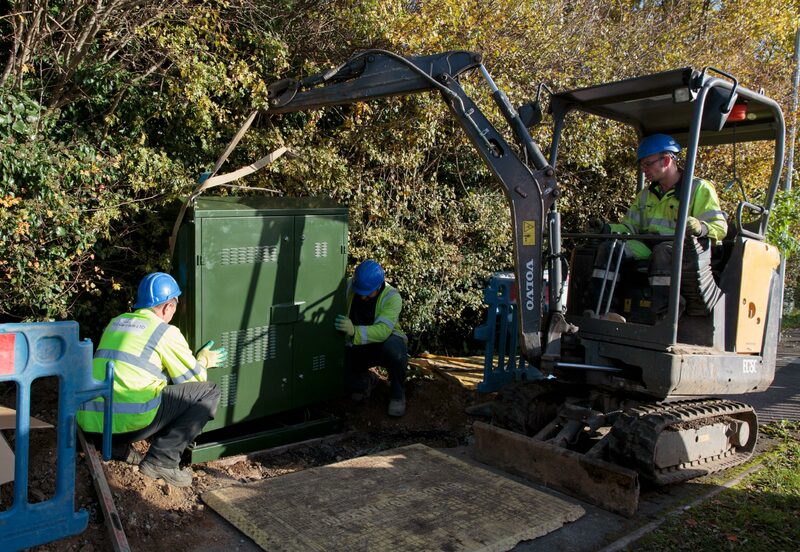 As the fibre cabinet is part of the BDUK-funded Connecting Cambridgeshire initiative, vectoring may have been introduced to meet superfast broadband targets (since it would increase the number of households being able to achieve speeds in excess of 24 Mbps). Although my understanding is that vectoring can only be applied to Huawei cabinets, I hope that BT will roll out vectoring on a widespread basis since many areas currently cannot take advantage of G.Fast services. It can be quite challenging to tell if your own connection has vectoring enabled. One obvious sign is if your speed (and the maximum attainable speed) has significantly increased, although there could be other reasons for such a speed uplift (for example, a line fault has been repaired). The most reliable way to tell is to use telnet to connect to your modem. Mac OS High Sierra users may have noticed that telnet has disappeared so they will have to download a free telnet application from the App Store (such as Telnet Lite). Note there are two hyphens (and not minus signs) before the word vectoring. The important line is the one containing the term "Vectoring state". Vectoring is fully working when this is set to 1 (as in the case above). If vectoring is not operational, this code is usually set to 5.